Built by Pullman-Standard in 1942 as a 4-compartment 2-double bedroom sleeping car for use on the Chicago & North Western-Union Pacific-Southern Pacific "Overland Limited" and named "Imperial Drive". Became owned by the C&NW in 1947. Retired in 1965 and acquired by Autoliner Corporation in 1970 and converted to a business car with the viewing platform installed and renumbered 100. Later owned by Great Western Tours and named "Happy Hollow". 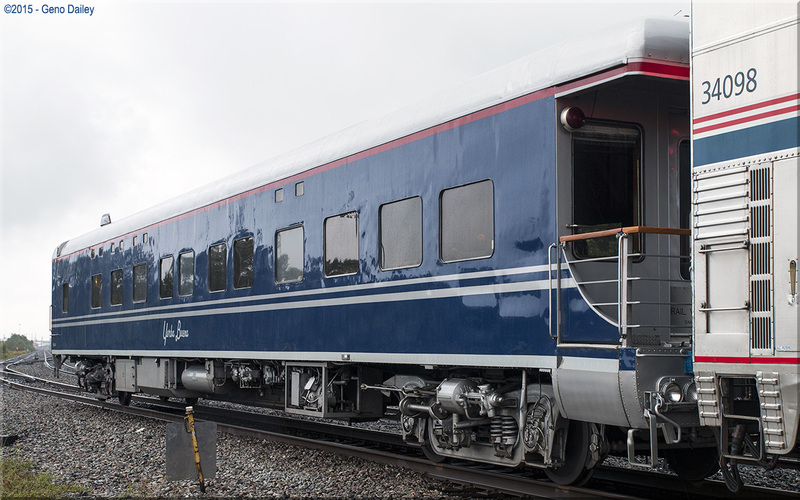 Eventually acquired by Rail Ventures Inc. who rebuilt the car for deluxe charter service in 1987 and again in 1990. Historical information about this car provided by aaprco.com, railventures.com, rypn.org, & utahrails.net.